Nickelodeon and the National Football League (NFL) are teaming up to get kids and families pumped up for the big game, with Double Dare at Super Bowl, a brand-new Super Bowl-themed episode of the net’s iconic game show, premiering Sunday, Feb. 3, at 12 p.m. ET/PT, simulcast across Nickelodeon, Nicktoons and TeenNick. Nickelodeon will kick off its week-long coverage of all the festivities at Super Bowl LIII today, by giving kids behind-the-scenes access to Opening Night, interviews with players from both Super Bowl teams, and a sneak peek at Super Bowl Live and all of the excitement taking place in downtown Atlanta, GA. 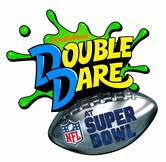 Double Dare at Super Bowl is a 45-minute competition special, pitting two teams of NFL athletes, Nickelodeon stars and real kids against one another in a series of exciting, football-themed trivia questions and messy physical challenges. Hosted by Liza Koshy and featuring color commentary from Marc Summers, the teams will include NFL athletes Drew Brees and Russell Wilson, as well as Nickelodeon stars Scarlett Spencer and Dallas Dupree Young (Cousins for Life). The special will be taped on the PLAY FOOTBALL field at the Super Bowl Experience. In addition to bragging rights, each Double Dare at Super Bowl team will be competing for a $10,000 donation to one of Nickelodeon and the NFL’s pro-social partners, PLAYWORKS and Special Olympics, respectively. PLAYWORKS is the leading national nonprofit leveraging the power of play to improve children’s social and emotional health by increasing opportunities for physical activity at schools. Special Olympics provides year-round sports training and athletic competition in a variety of Olympic-type sports for children and adults with intellectual disabilities, giving them continuing opportunities to develop physical fitness, demonstrate courage, experience joy and participate in a sharing of gifts, skills and friendship with their families, other Special Olympics athletes and the community. Double Dare is produced for Nickelodeon by FremantleMedia North America. Marc Summers is Executive Producer. Liza Koshy is Executive Producer. Peter Herschko and Josh Silberman also serve as Executive Producers. Fans with tickets to the Super Bowl Experience can register to attend the taping of Double Dare at Super Bowl on NFL Fan Mobile Pass (www.nfl.com/fanmobilepass).For tickets to Super Bowl Experience, and for additional information on related events visit SuperBowl.com. Fans may also follow @SuperBowl and tag their posts and photos using hashtag #SBLIII. The National Football League is America’s most popular sports league, comprised of 32 franchises that compete each year to win the Super Bowl, the world’s biggest annual sporting event. Founded in 1920, the NFL developed the model for the successful modern sports league, including national and international distribution, extensive revenue sharing, competitive excellence, and strong franchises across the country.